In 2017 the Interuniversity scientific seminar on the qualitative theory of differential equations (Supervisers Prof. I.V. Astashova, Lomonosov Moscow State University, Plekhanov Russian Economic University and Prof. A.V. 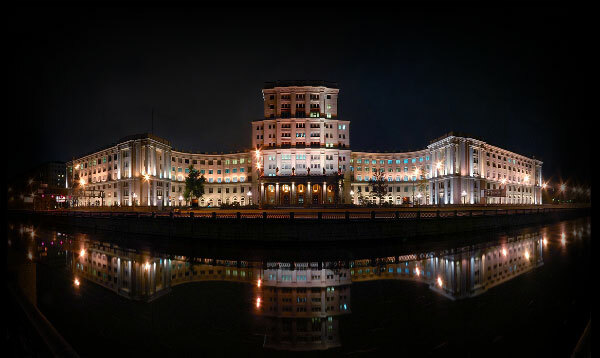 Filinovskiy, Bauman Moscow State University, Lomonosov Moscow State University) celebrating its 15th anniversary. The seminar was organized at the Department of Mathematics at Moscow State University of Economics, Statistics and Informatics (MESI) in 2002. The seminar leads annually the international conference "Qualitative theory of differential equations and applications" with detailed publication of the reports in the annual Proceedings of the conference. In the seminar participate actively the leading researchers in the field of the qualitative theory of differential equations and spectral analysis and young researchers, graduate and undergraduate students. The research team has numerous scientific contacts with various foreign universities. On the seminar are discussed problems of the qualitative theory of differential equations, spectral analysis and applications. Qualitative Properties of Solutions to Differential Equations and Related Topics of Spectral Analysis [I.V. Astashova, A.V. Filinovskiy etc. ]- M.: UNITY-DANA, 2012. Sessions are held on Saturdays in the building of Plekhanov Russian Economic University (Moscow, Nezhinskaya, 7), room. 247.